DETANT system was established by AKBAN Academy veterans, Yossi Sheriff, Danny Hershkovitz, Guy Renan and Hagai Bergman. Our academical background is joined by years of teaching thousands of students and practitioners. 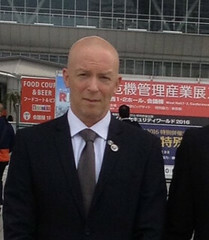 Yossi Sheriff is the founder of the Akban DETANT system. Yossi is the current AKBAN Academy headmaster and is an active teacher and practitioner in all AKBAN’s centres in Israel and abroad. Around a pragmatic core of martial arts research, Yossi has built, coded and maintains a wide array of professional databases which include research and analysis of conflicts, movement and physiology. Yossi published the results of his research in English, Hebrew and Japanese. After his military service as a Combat Paramedic, in 1985, Mr. Sheriff received the honor achievement award from the president of Israel for his successful efforts in analyzing, reorganizing and building the logistics network for evacuation in the Israeli Medical Corps. In 1986 Mr. Sheriff started teaching martial arts as a means for human improvement. Yossi’s instructional videos and articles have tens of thousands of readers a month and millions of views in total so far. Hagai Bergman is the chief science officer in DETANT and is building the theory and research strategies that underline our basic creed of interdependence of physiological and neurological processes. Hagai, MD, DSc (Technion equivalent of PhD) is a full professor at the department of medical neurobiology (physiology) in the institute of medical research – Israel Canada (IMRIC) Hadassah medical school, the Hebrew university, Jerusalem, Israel. 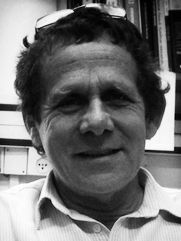 He is the incumbent of the Simone and Bernard Guttman Chair in Brain Research and a founding and active member of the Hebrew university inter-disciplinary center for neural computation (ICNC) and the Edmond and Lily Safra center for brain sciences (ELSC).